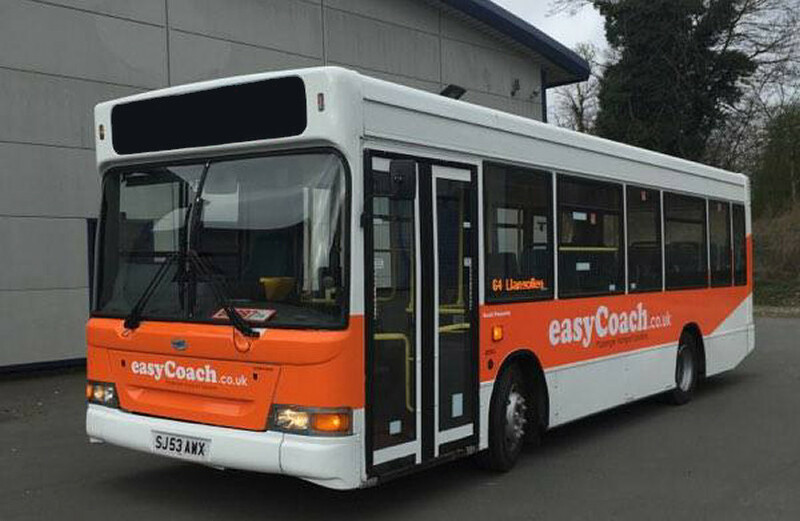 EasyCoach services that were started just last June in the Wrexham area are being withdrawn by the company. Further to the report you sent out regarding Easybus recently, I've been informed of a number of concerns re the maintenance and safety record of Easybus. We've had a report from someone who witnessed a wheel coming off an Easybus vehicle whilst it was travelling on the bypass last Wednesday, at the Johnstown turn off. There have also been a number of issues with the school route from Llanarmon / Glyn Ceiriog to Dinas Bran. We understand the buses have broken down 7 times in just 2 weeks and are led to believe this has meant pupils missing GCSE exams. With this in mind, I'd be grateful if you could confirm whether the council was aware of these incidents, what is being done to ensure passenger safety and what alternative provision is in place if Easybus is not able to meet the necessary health and safety standards required. Today's news confirms confidential reports about the problems facing the company, which also runs the council's Information Centre at Wrexham Bus Station. "This is another blow for public transport in Wrexham. Bus services remain patchy at best and that's because funding for bus services has been frozen by this Welsh Government for many years while fuel and wages have increased. "I flagged up concerns about this company's safety record back in July after reports that a wheel had come off one EasyCoach while it was on the A483. The Ceiriog Valley route was also subject to frequent breakdowns in recent months. "If we're serious about reducing congestion in our area, we need better public transport that's reliable, affordable and easily accessible. That needs a long-term investment and strategy that's just not happening in this area. "We hear of money being invested in a combined train-bus hub for Wrexham, but the reality is that there won't be any buses left to service that hub unless we have serious investment in revenue costs rather than one-off capital costs to maintain and improve services. "Bus de-regulation has happened throughout the UK with the exception of London, where more than half the population travel to work every day by public transport under democratic control. That's clearly a system that works. I don't think it's too much to ask that Wales has the same kind of ownership of public transport so that it serves people better than this current privatised, under-subsidised hell." Cllr Jones added that he did not believe the announcement affected the running of the council's Information Centre in the bus station.